This is the first in a three-part series on leadership by Miami University’s Associate Provost for Research and Scholarship, Jim Oris. In today’s post, Oris recounts formative experiences that laid the groundwork for the development of his philosophy of leadership. When I first started my career in academia, the furthest thing from my mind was becoming a university administrator. All I thought about was my teaching and research programs. The university did not provide opportunities for faculty to learn leadership or administrative skills, and I was never offered the opportunity to explore those options outside of the university. Thus, my approach to leadership and university research administration are the result of integrating my life experiences, modeling best practices based on observations of what I considered effective leaders, and (frankly) trial and error. I grew up in a household that valued education and how it can empower choice and freedom. My upbringing enforced independence, hard work, and striving to do the very best job one can do on every task one was assigned. My parents believed in providing their children with Opportunity, with a capital “O” – the opportunity to succeed and the opportunity to fail – without judgment. I was drawn to my research discipline (aquatic toxicology) from a very early age after reading newly posted signs at Lake Erie declaring that fish were no longer safe to eat, literally a day after my extended family had a fishing trip and a huge fish fry dinner. I was drawn to teaching through my love of water, liquid and solid, by gaining certification for and teaching swimming lessons and SCUBA diving and by offering snow skiing lessons for over ten years. In college, I had a professor and advisor who dedicated his life to aquatic research and to the professional development of young scientists and ecologists. At that time, undergraduate research was not as popular or in vogue as it is today, but I sought out the opportunity to do research on the effects of fuel oil on fish eggs. My advisor provided me the Opportunity to do that for two academic years. He helped me identify and gain admission to a top-notch graduate program and major professor. In graduate school, the focus was on research, and only research. My advisor’s motto was “if you don’t publish your work, it didn’t happen.” He led by example and to this day remains one of the most well-known and prolific researchers in his field. He set high expectations and provided his students with measured mentoring and the Opportunity to define their own projects, to be independent researchers but work within collaborative teams, and to seek ways to fund their research. He also enforced the importance of being active in our professional society – participating in meetings and committees as well as being part of the governance of the society. As important as research productivity was in our lab, in my hopes to become a teacher/scholar I requested and was given the Opportunity to teach a lecture section of an aquatic toxicology class as a senior level graduate student. These experiences prepared me to be a faculty member, but not a leader. Following best practices I observed in undergraduate and graduate school, I sought to develop students into professional colleagues by the time they graduated. It is through this mentorship and working with a large group of diverse students at different levels of professional development that I began to formulate my own approach to people management and leadership. As a major advisor, my goal was helping students to become practicing professionals in a normative time frame and then helping them find employment where their passions took them. My former students and postdoctoral fellows now work in all sectors of the environmental profession, as professors, government researchers and policy managers, industrial scientists, private consultants, and non-governmental organization scientists and managers. Developing students into high-performing scientists and managers, and seeing them grow in their roles in their jobs and society was the most rewarding part of my job as a faculty member. In Part II, Jim Oris describes how being a faculty mentor prepared him for administrative leadership. By Jim Oris, Associate Provost for Research and Scholarship, Miami University. Photo of Jim Oris by Angelo Gelfuso, Miami University Photo Services. 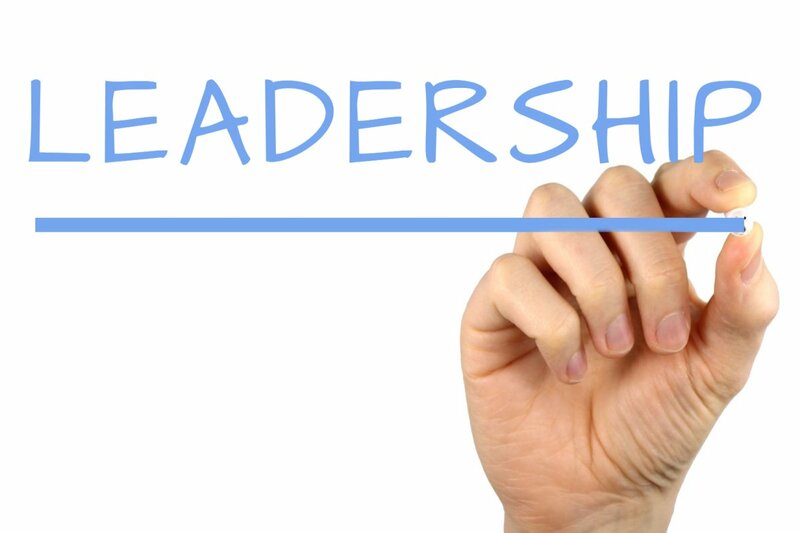 Leadership image by Nick Youngson via Creative Commons Images, used under Creative Commons license. This entry was posted in Grants administration and tagged administration, leadership. Bookmark the permalink.